We have handcrafted an experience that will truly relax and recharge you during your stay with us at Baker Bucks. From the moment you arrive, you will feel at home. The generous lodge offers a unique mix of dozens of authentic African and domestic animal mounts, tree trunk accents, and antler chandeliers, providing a breathtaking ambiance. The lodge is constructed from a variety of beautiful wood, some of which was taken from our farm. 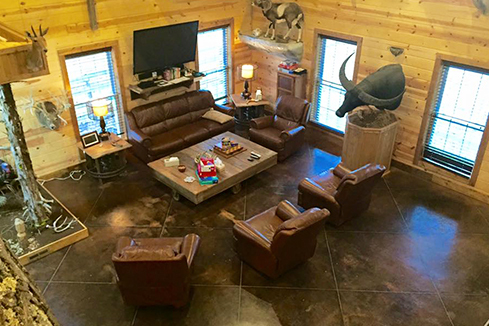 Our lodge is designed to accommodate many group sizes and offers all the expected amenities. The kitchen is fully equipped with pots and pans, a commercial six-burner gas stove and a microwave for anyone wanting to prepare special meals. The spacious lodge offers seven bedrooms and three full bathrooms, including bath products for your convenience. One bedroom and bathroom is located on the ground floor and is handicap accessible. 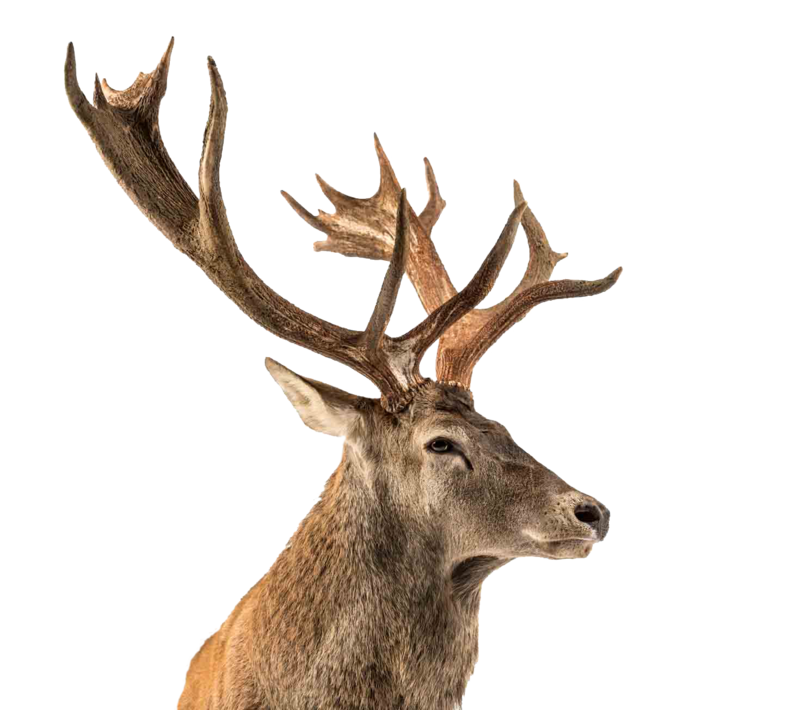 A big part of the hunting experience is enjoying a grand evening meal with friends – whether it is exchanging stories of the hunt or the telling of tall tales, Baker Bucks is no exception. We appreciate that good food and lively conversation are essential components of a great getaway. Hunting packages include two meals prepared daily by on our on-site chef. All meals are home-cooked and freshly prepared for our guests based on a menu of your choice. All meals, snacks and non-alcoholic drinks are included. From the moment you drive down the driveway, your vacation begins. Rest, relax, recharge and enjoy the hunt of a lifetime.